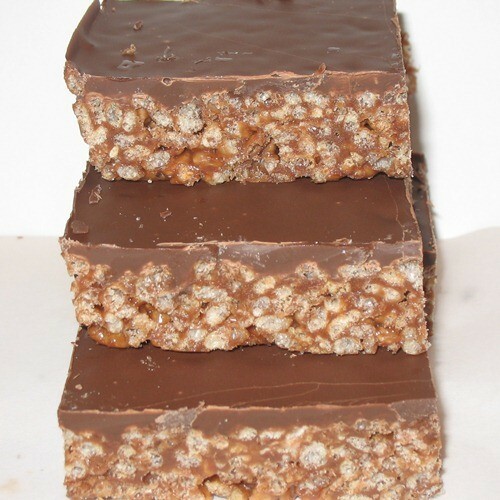 This delicious, easy slice is a winner with kids & adults, and always sells well at fetes and cake stalls. 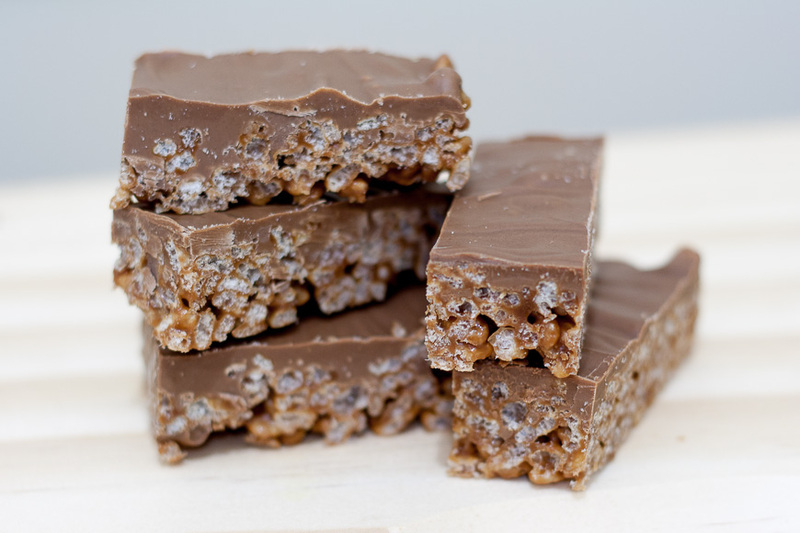 Combine Mars Bars and butter in a small saucepan over a low heat, stirring constantly, until the mixture is smooth. Stir in Rice Bubbles and press the mixture firmly and evenly into the lined tray. Melt the chocolate in a bowl over a saucepan of hot water (or in the microwave) and stir until completely smooth. Quickly spread the melted chocolate evenly over the slice mixture and refrigerate until set. Once set, cut into rectangles or squares and enjoy.